Now that looks really cool, strange why this hasn't been covered more. Have to do some searches, would like to see more info and pics. I'm quite liking the new Cairelli reissue they announced. Surprising that it didn't get any press! "Both feet on the floor, two hands on the wheel, may the wind take your troubles away." I'll have to see more pics of the reissue. The A. Cairelli-Roma is one of my favorite Zeniths. WTSP, That_Turtle and EnderW like this. Not bad, but at the risk of sounding like a broken record, another that could benefit from a new movement or a smaller case. 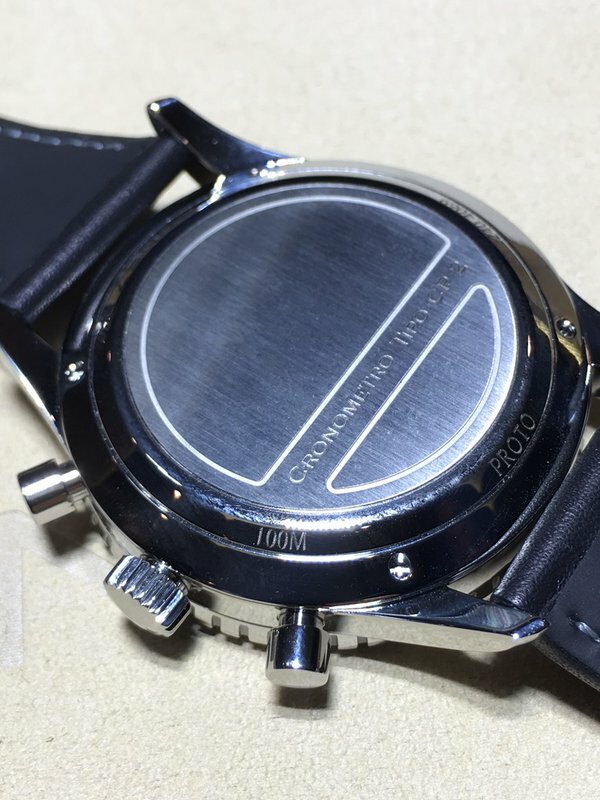 The original is the better-looking with subdial pivots closer to the edge of the dial. wills0_9 and That_Turtle like this. I see your point but in the new version, I think the discrepancy is tenable. There isn't that much difference and overall, it's a beautiful hommage to the original. I think this one will be a winner. I like the El Primero Classic Car tri-color dial a bit as well. It is not as attractive to me as the original tri-color El Primero dial, but that is one of the all time classic chronograph dials (and watches). 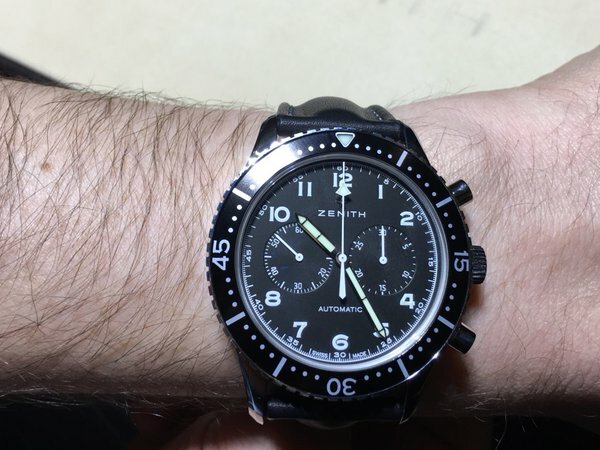 Any Zenith El Primero tri-color, decently executed, is not a watch I'd throw out of bed for eating crackers! They're not too bad... Just trying to be different. Great to see some more pics of the CP2, only had a single wrist shot sent via the AD of it. lovely reissue of an icon. Last edited by -endo-; March 26th, 2016 at 21:28. A Cairelli re-issue! Zenith has become a master of the stealth release. This has to be a good seller, the Cairelli design is so brilliantly simple and functional. This could be a compelling alternative to the Breguet Type XXI or the Sinn 256. 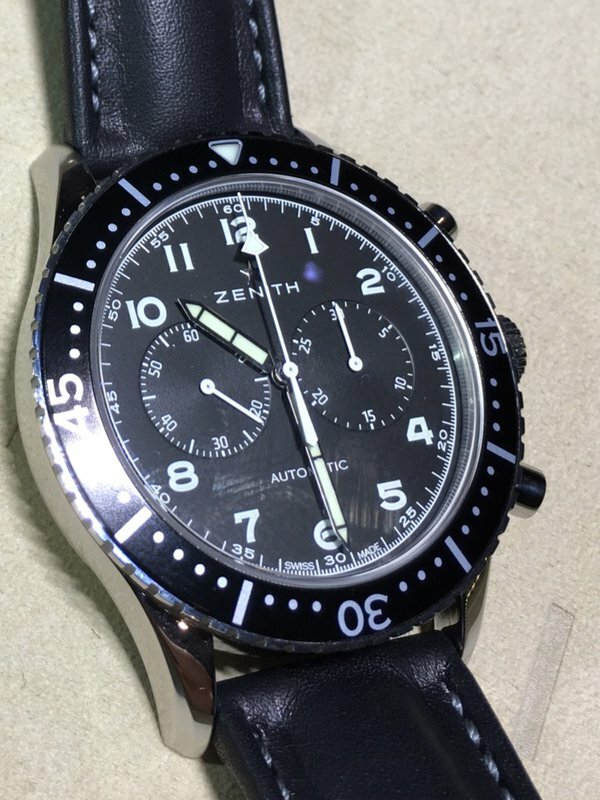 It would have been interesting if Zenith had used the El Primero 420 manual wind, but I guess the days of that movement are over and done. Last edited by WTSP; March 27th, 2016 at 00:58. They would have had to reduce it further and also drop the date and hour totalizer. However, that would have been easily achieved..... - which would have led to a new Zenith calibre!